According to hairstylist Orlando Pita, the models were instructed to wash their hair the night before the show and sleep with it slightly damp to create a natural, fresh out of bed feel. 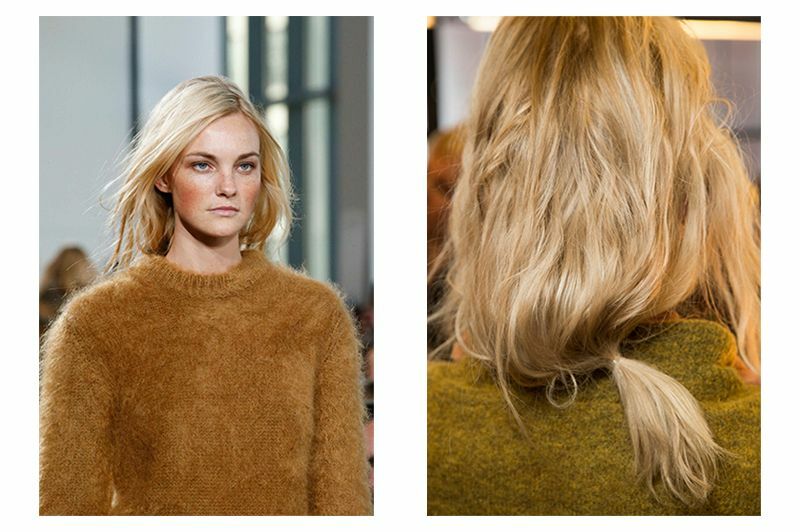 In the morning, just pull some tousled strands into a loose ponytail and you’re good to go. Sounds low-maintenance enough for me!